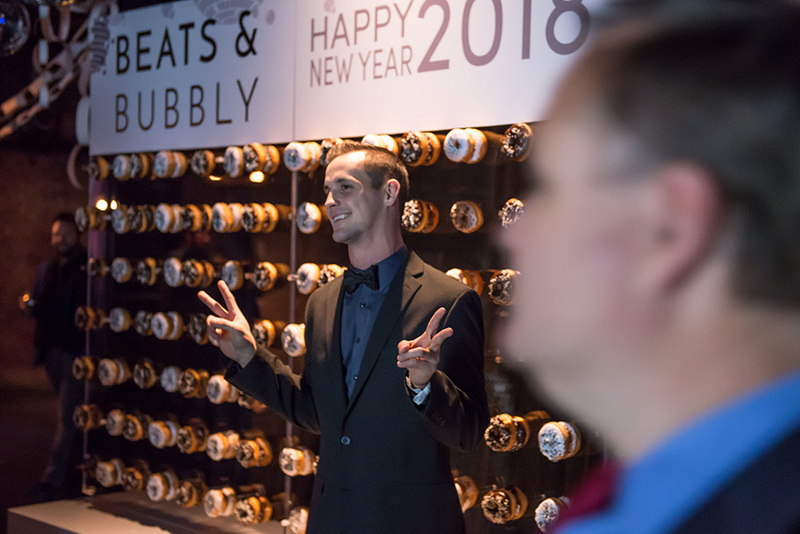 Beats & Bubbly is my annual black tie charity New Year's Eve party that I created 3 years ago to give young professionals in Dallas a place to celebrate that felt positive and safe, while benefitting a local charity! I wanted to provide a place to party with friends that didn't feel like a club or bar where the focus was on drinking, but rather the focus was on connecting with friends and starting the year off right! 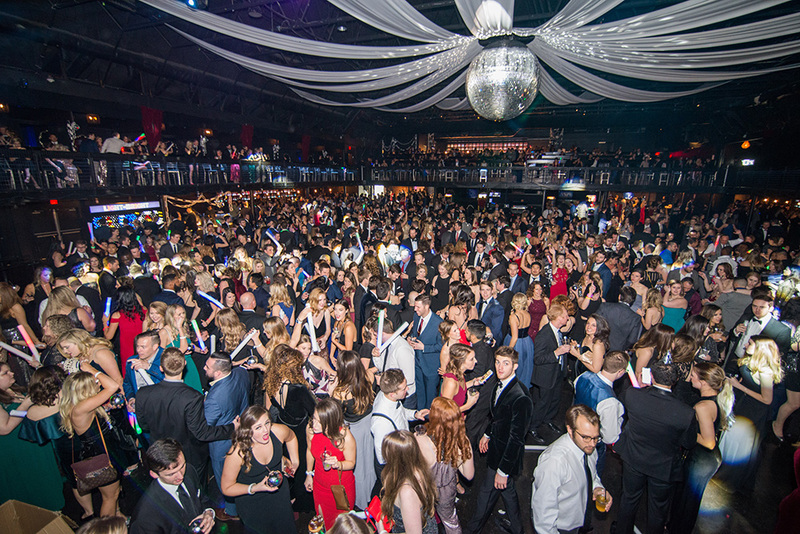 We rang in 2018 at The Bomb Factory in Deep Ellum and had a packed dance floor all night! You can read more about how the event started in this Beats & Bubbly post. For the past three years, we have been able to make a donation to Champions of Hope, and I was thrilled to do so again this year! It's humbling to remember how Beats & Bubbly started- just as an idea and then asking a few friends to help spread the word, to a huge event with thousands of people celebrating together. I feel so blessed to be able to be able to host this event each year, and I couldn't do it without help from my friends and network! I can't wait for the next one! 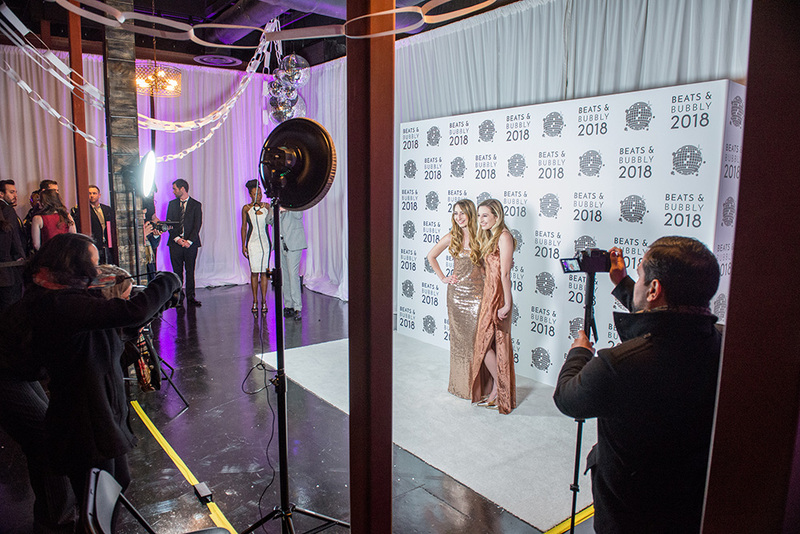 Guests started the night with a "step & repeat" photobooth- you can view photos from the event from Forevermore Photography and Amber Boykin Photography. The Bomb Factory was new venue for Beats & Bubbly, but I wanted to try something a little different than last year's event at the Perot Museum, and the dance party was a huge hit! The second level balcony was for VIP ticketholders, with 8 private suites on the left side of the balcony. 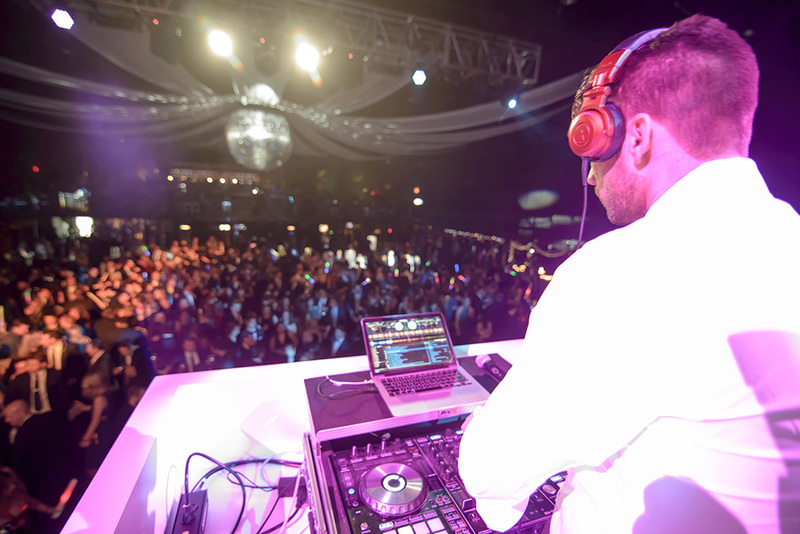 Of course the dance floor was packed all night once DJ Bradford starting spinning on stage! He kept the party alive from 10pm-2am and we would have danced longer if we could have! The confetti countdown at midnight was the most magical thing. EVER. 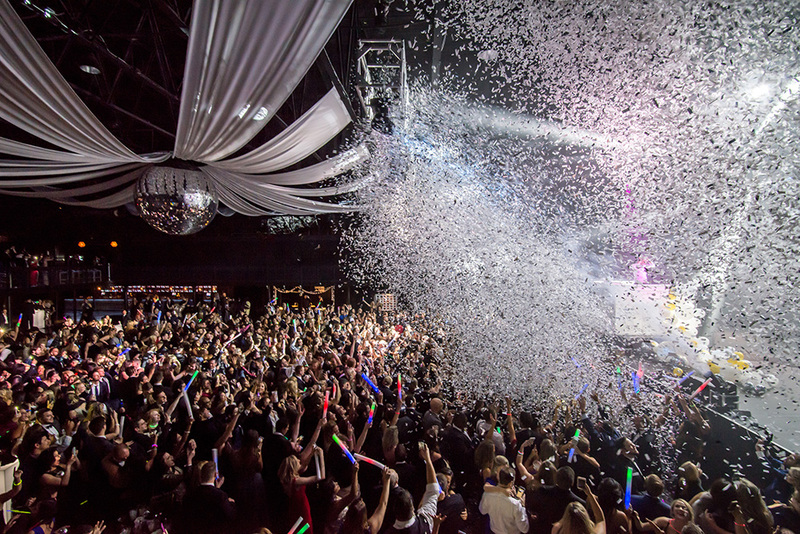 I wish I could have confetti blowers with me at all times! It took so long for all of the confetti to settle, and we had so much fun taking videos- we could barely see because the confetti was so thick! This year we had one of my favorite photobooths ever, and I got so many questions about the company- Capitol Photobooths! 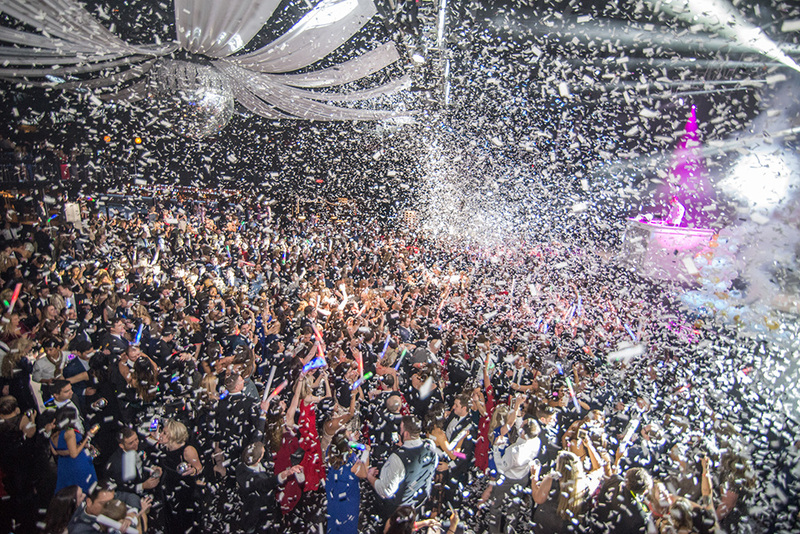 You view the entire gallery from NYE. The donut wall was one of my favorite parts of Beats & Bubbly! Our generous sponsor, Urban Donut, supplied 2000 donuts for our donut wall and all of the guests loved it! The donut wall was definitely an unofficial photobooth! I love planning huge events and Beats & Bubbly is my favorite but this year's event was much more stressful than in years past and so I was beyond thrilled to see it all come together! When DJ Bradford called me up on stage around 11:30pm, it was a turning point for me and I was SO happy to see everyone in the crowd having such a great time! If you've been around here for a while or you follow me on Instagram, then you have definitely seen me carrying a disco ball tumbler! I love my tumbler so much! 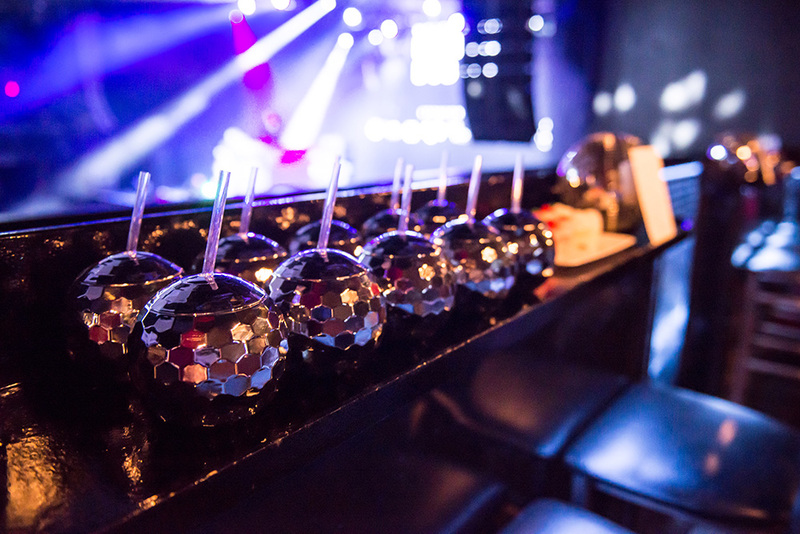 I gave disco ball tumblers to my VIP and Private Suites guests and they were the CUTEST thing ever! Everyone loved them, and I didn't have ANY left over after the event! Thank you to Brandon Mikeal for taking photos at Beats & Bubbly again this year! You can follow @BeatsandBubbly on Instagram for updates on the next event! Lastly, a HUGE thank you to everyone who came to Beats & Bubbly and to friends who supported me during the planning process. THANK YOU!